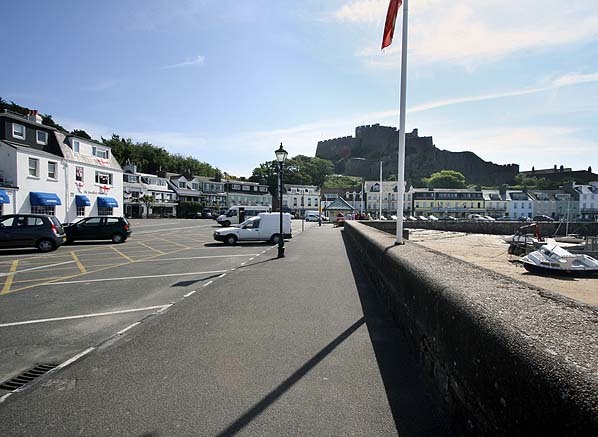 Notes: With the opening of the ferry service between Gorey and Carteret there was an immediate public demand for an extension to the Jersey Eastern Railway from passengers who had to walk half a mile from Gorey station to the ferry terminal. 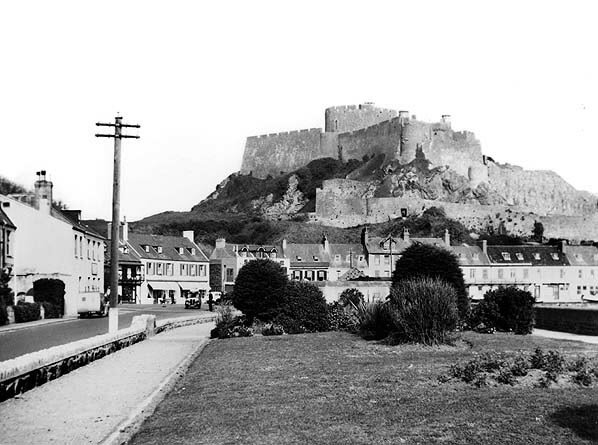 The company agreed to extend the line to Gorey harbour but the extension took a further twenty years to complete. well and the new station was expected to open on 30th March that year. There were however further delays but following an inspection on 6th May the company announced that Gorey Pier station would open on Monday 25th May 1891 to coincide with Queen Victoria's birthday. On the opening day a special half hourly service was put on between 2 and 9pm and special cheap fares were available throughout the day to attract passengers. To counter this the Jersey Railway who ran their line from St Helier westwards also offered cheap return tickets to their western terminus at Corbière in an attempt to win back some of the passengers. Gorey Pier had a 300' long single platform on the up side of the line with similar buildings, although not so ornate and somewhat larger to other stations on the line. The two storey stationmaster's house was at the east end of the platform with an adjacent single storey building comprising booking office, staff offices and waiting rooms. Trains would stop short of the buffers to allow the locomotive to move forward onto the run round loop on the north side of the platform line. 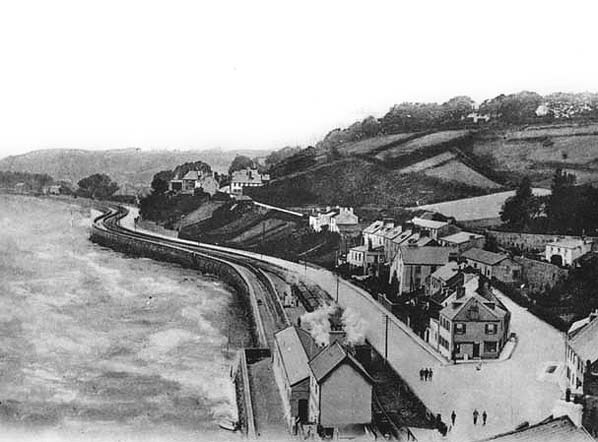 There were no watering facilities at Gorey Pier and locomotives had to replenish their water at Gorey Village. 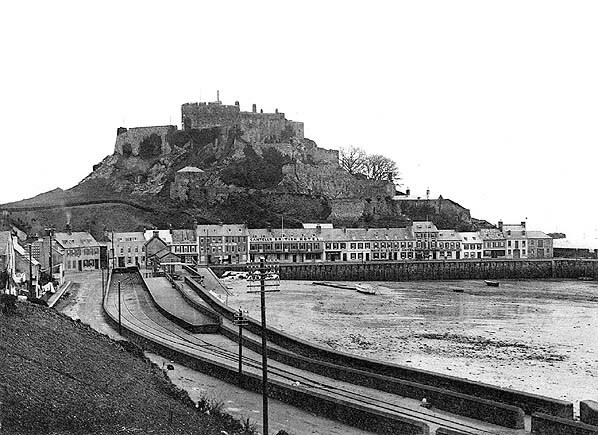 The station was renamed Mont Orgueil on 3rd October 1927 althought tickets showed Mont Orgueil and Gorey Pier. After closure track lifting started from the Gorey end of the line in December 1929 with Caesarea being brought back into service to haul the demolition train. The station site as far as Gorey slipway were bought by the States for £300. 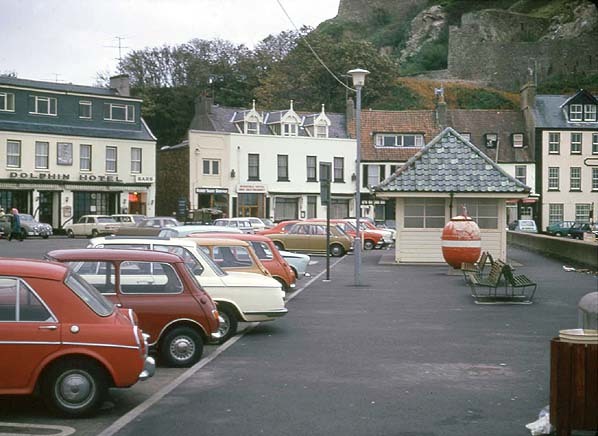 The station was quickly demolished and a promenade and gardens built on the site, today the gardens have been replaced by a car park. would be forced to bring labour from England. the JER between Grouville and Pontac then followed the main road to Le Hocq to rejoin the JER to Grève D'Azette, where an engine shed was built. Following the liberation of Jersey on 9th May 1945 this track was quickly removed. 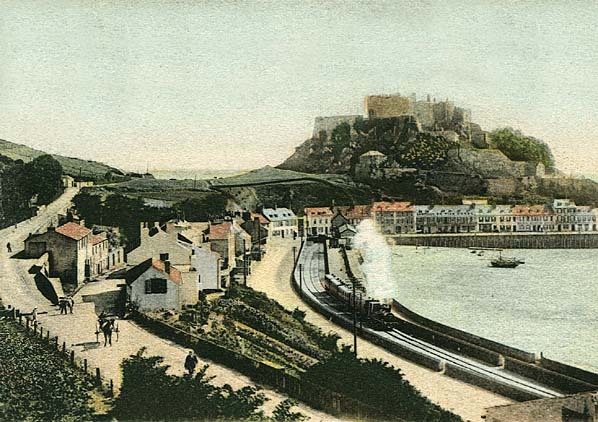 The 'classic' view of Gorey Pier station and harbour before March 1904 seen from the hills overlooking the town. Mont Orgueil is seen in the background. to run round its coaches. 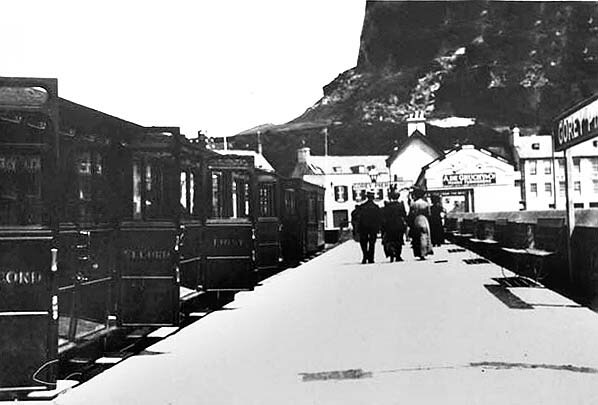 A train from Snow Hill has just arrived at Gorey Pier early 20th century. The locomotive has already moved on to the loop line ready for departure for Snow Hill. 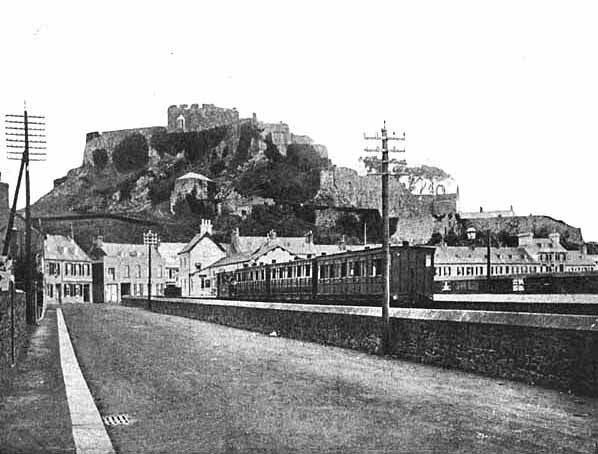 Looking east towards Gorey Pier station c.1910, the layout of the station is clearly seen. The site of Gorey Pier station looking east in April 1949. The station was demolished very soon after closure and a new promenade and garden (seen here) was built on the site. The site of Gorey Pier station looking east in June 2006, the kink in the sea wall can also be seen in the 1910 picture above.